What a better time and place to set up our exhibition than at Headingley Stadium right before a match between Pakistan and England! We had already worked on how we wanted the exhibition to look, and had ‘curated’ which photographs were wanted to display. We set up the lights and photo display as quick as we could so we could have as much time for people to explore our work. We decided 2 people at the front entrance would lead in a group of people and we would deliver talks and show them around the exhibition explaining our work and its relevance to our heritage. We all have gained a growing passion for the project as it has gone on therefore even though we were nervous about showcasing it to the public; we were all still very excited. 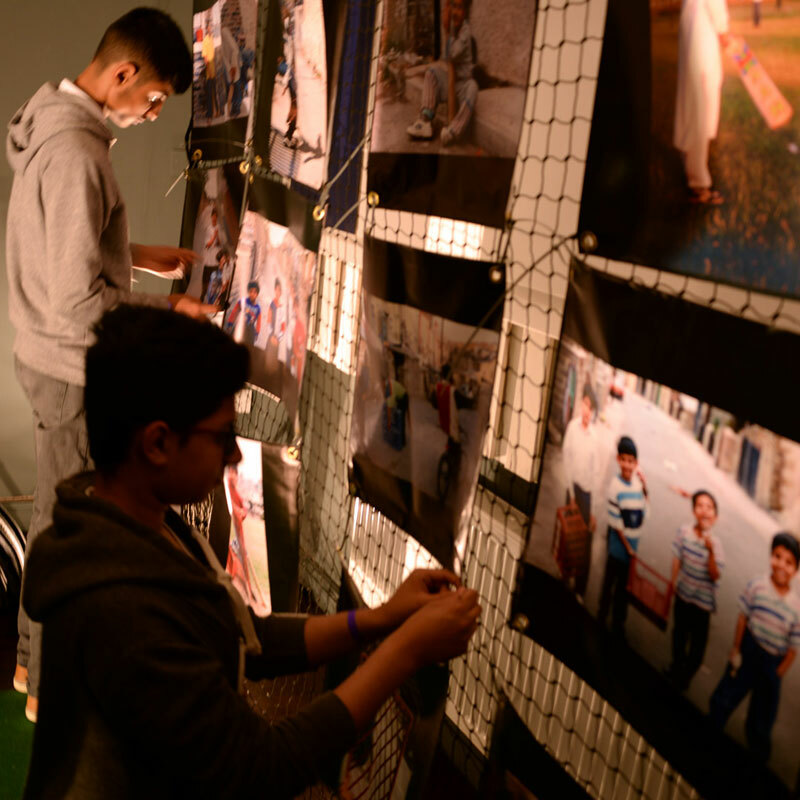 The nerves soon went when we saw all the positive reactions from the exhibition viewers and it made us even more passionate and proud of ourselves when people were relating their own childhood to the photographs. 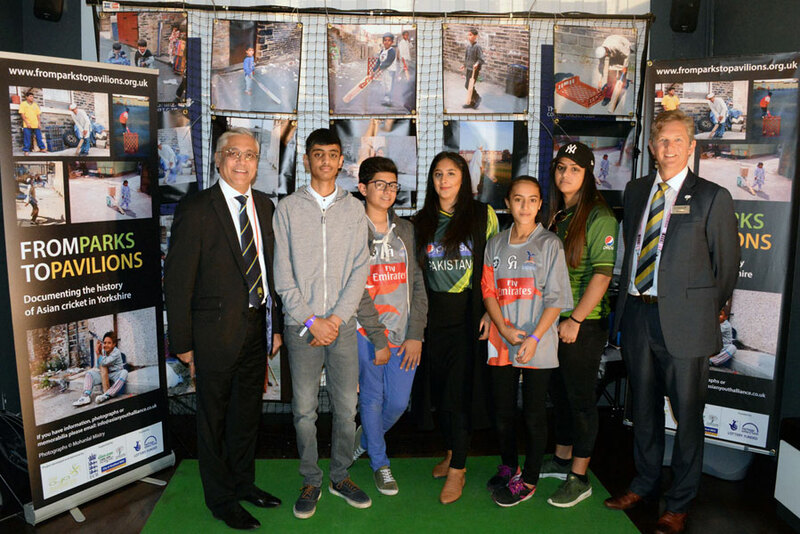 We had a great response Mark Arthur the Chief Executive of Yorkshire Cricket Club and Lord Patel of Bradford came to launch our exhibition and BBC Look North camera crew came and the exhibition was reported on TV that evening. Woohoo!